Consumption of water polluted by faecal contaminants is responsible for 2 million deaths annually, most of which occur in developing countries without adequate sanitation. In tropical aquatic systems, streambeds can be reservoirs of persistent pathogenic bacteria and high rainfall can lead to contaminated soils entering streams and to the resuspension of sediment-bound microbes in the streambed. 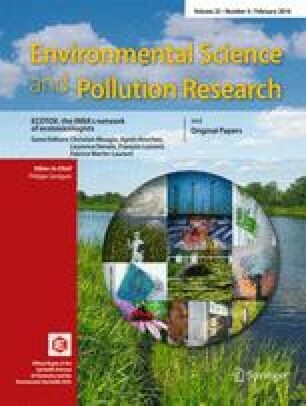 Here, we present a novel method using fallout radionuclides (7Be and 210Pbxs) to estimate the proportions of Escherichia coli, an indicator of faecal contamination, associated with recently eroded soil particles and with the resuspension of streambed sediments. We show that using these radionuclides and hydrograph separations we are able to characterize the proportion of particles originating from highly contaminated soils and that from the resuspension of particle-attached bacteria within the streambed. We also found that although overland flow represented just over one tenth of the total flood volume, it was responsible for more than two thirds of the downstream transfer of E. coli. We propose that data obtained using this method can be used to understand the dynamics of faecal indicator bacteria (FIB) in streams thereby providing information for adapted management plans that reduce the health risks to local populations. The authors would like to thank the Lao Department of Agriculture Land Management (DALAM) and the MSEC project (Multi-Scale Environment Changes) for their support. They are also grateful to Keo Oudone Latsachack, Bounsamai Soulileuth, Marie Arnoux and Elian Gourdin for their help during field and laboratory work. This work was financed by the French Centre National de la Recherche Scientifique EC2CO/BIOHEFECT program (Belcrue and Belkong projects) as well as by the French National Research Agency (TecItEasy project; ANR-13-AGRO-0007).